For such an elusive creature, Bigfoot gets around. One of my favorite moments in the new season of Animal Planet’s “Finding Bigfoot” is when one of the members of the Scooby gang-like research team says, in utter exasperation, “It drives me nuts how elusive Bigfoot is!” Yeah buddy, Bigfoot is elusive! That’s what adds to the mystique. If Bigfoot were easy to spot, like say a deer, that would take away from all the fun and folklore. We’ve come a long way since that grainy footage from the ‘60s of a guy in a big hairy costume. There’s so much sasquatch research now that the whole thing has taken on an air of legitimacy and joins the ranks of a new generation of sophisticated speculation. 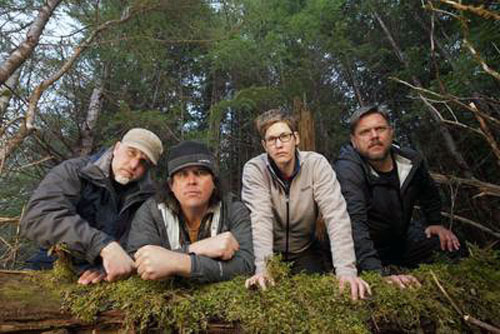 Right along with SyFy’s “Ghost Hunters,” and other quirky paranormal TV shows, “Finding Bigfoot” follows certain protocols as it conducts its investigations and maintains a detached and scientific approach. The tricky part is balancing a serious approach while, at the same time, providing at least a little wink and a nod that we’ve entered a sort of “Twilight Zone” of scientific research. The transitions to commercials show an obviously rubbery Bigfoot doll in close-up. You need that for a show like this. This season’s opener focuses on another grainy bit of footage. This time it’s something that was caught on video in the ‘90s by mistake: what could be the only video ever caught of a very young sasquatch. The bigfoot research team goes about setting up their inquiry which first involves numerous viewings of the video, a sort of ghostly shape of what might be a primate swinging from a tree in the background of a video that was only meant to be of people at a party. There’s an eerie sound affect each time the video catches the best glimpse of the sasquatch-like figure. It’s fun and what you’d expect. There’s also a couple of times when the team, out in the field, hear sharp knocks on wood which are also good creepy fun. There are moments when the team say stuff like, “Did you see that? !” or “Did you hear that? !” And what show like this wouldn’t have its fair share of these? It wouldn’t be “Finding Bigfoot” without them. What’s good about this show is that the team does do what seems like everything you can possibly do to investigate a sasquatch sighting. The ‘90s video was shot in rural New York state and that’s where the team spends it time, even going right back to the very same tree it is believed the bigfoot suspect swung from. All this is pure entertainment and maybe, if we’re lucky, one step closer to finding Bigfoot. 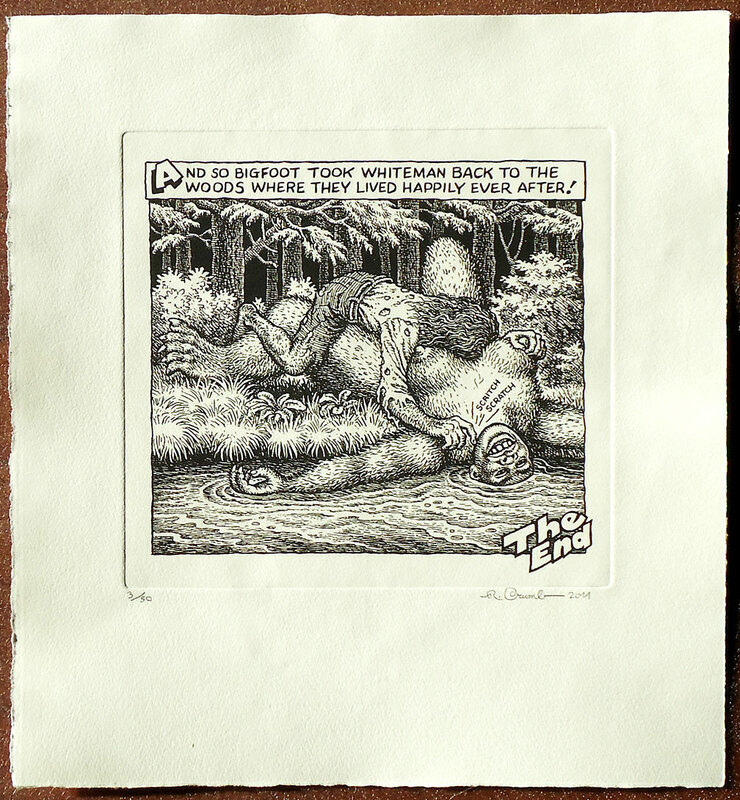 But maybe the Bigfoot Research Team should set its sights on this beauty, an etching by the legendary cartoonist, R. Crumb. How’s that for a segue? Bigfoot may be elusive but not when it comes to this piece of art! 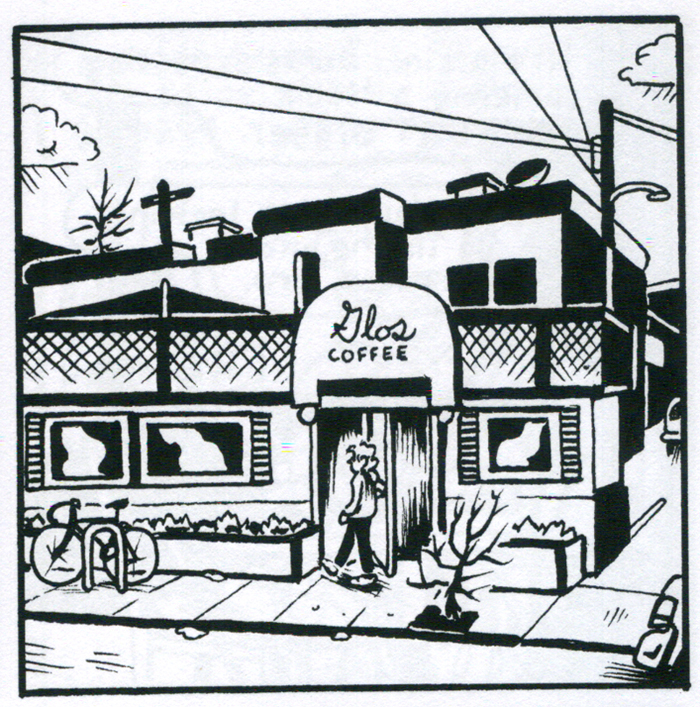 This etching is from the last panel of a story Crumb did for an underground comic. The publisher liked it so much that he encouraged Crumb to turn it into a stand-alone work of art. 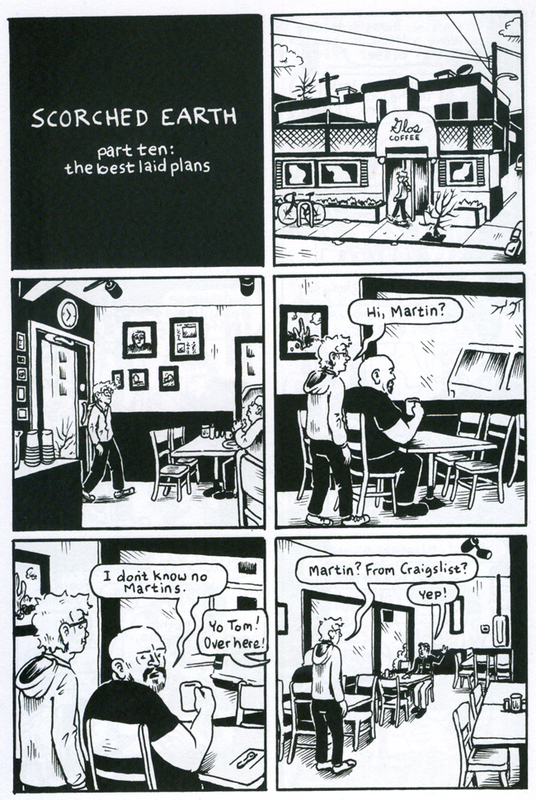 Crumb wasn’t satisfied with the final panel to make that leap so he redrew it from scratch. It’s a lovely piece and available here. I think you’d do well to invest in this one. 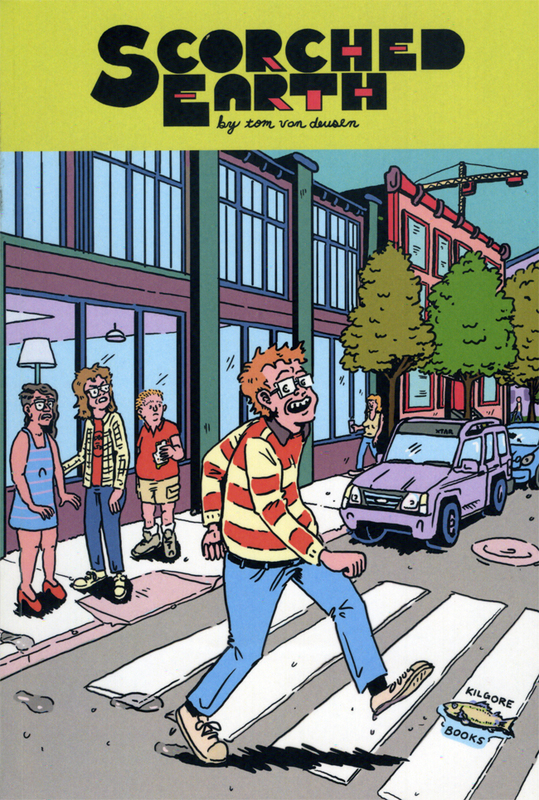 Here is the cover to one of the last collections of American Splendor with art by Dean Haspiel, one of the last great cartoonists to illustrate Pekar’s unique poetic observations of everyday life. 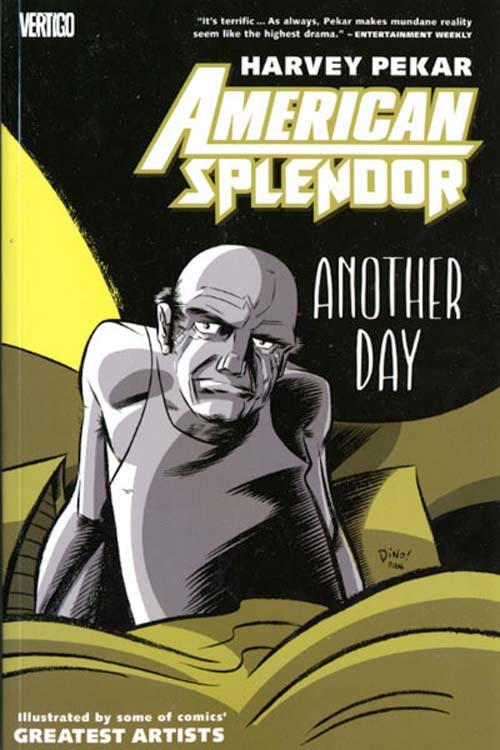 You can pick up American Splendor: Another Day at Vertigo Comics. That book is still around and fairly easy to find. You could pick up a copy through Amazon.